Life has a terrible way of twisting toward tragedy, and dreams have a funny way of coming true. Few know this better than Gillian Larson. A registered nurse for 41 years who was born and raised in South Africa, Gillian has lived a life full of adventure that has shaped the way she views the world. She constantly felt an urge to push herself to try new challenges and when she saw the very first episode of Survivor, she knew that her experiences made her a perfect fit to compete on the show. "During eight years, I applied 15 times, went to two open calls, and had three interviews," she says on her personal website. Where many may have felt discouraged after facing such repeated rejection, Gillian persevered and eventually was selected to compete on Season 17 of the show in Gabon, Africa. 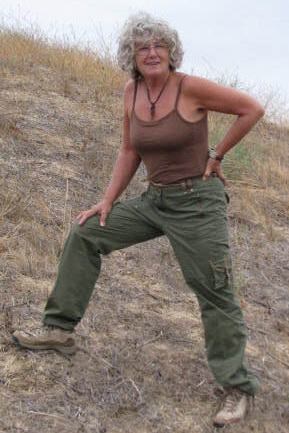 She was 61-years-old at the time, one of nine contestants over the age of 60 to compete during the entire running of Survivor. As fate would have it, Gillian's long-held dream of being on Survivor did not pan out as she thought. After just six days, Gillian was voted out by the other contestants. She recalls sitting on the beach after receiving the news, crying and feeling at a loss. But she says she knew that her eight-year quest to be on the show did not have to end in the jungles of Gabon. Years of passion were still inside of her and as she wandered through the jungles and along the beach, she thought of how she could harness her reality stardom to justify the time and effort she had spent to get here. "I thought of Michelle Watson," Gillian says. Michelle Watson was one of those young women who can only be described as special. She was adored by her family, could make lifelong friendships within minutes, and was a competitive swimmer who pushed herself past her weaknesses. At twenty-three years old, though, Michelle was diagnosed with breast cancer. How can a young woman grapple with a disease that most women don't even screen for until their forties? According to her family, Watson never asked "Why me?" Her determination to not let cancer affect her vibrant spirit even caused her oncologist to ask her to talk to newly diagnosed patients who were years older than her. 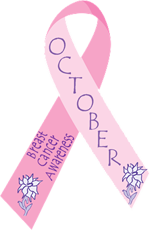 Cancer never vanquished her will; it only defeated her body. 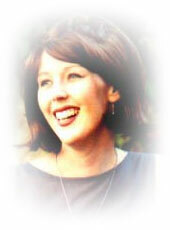 Michelle passed away in 2000 when she was twenty-six years old. Michelle's dying wish was to start a breast cancer resource center that would provide support and information for women reeling with the news of a diagnosis. Her family and friends honored Michelle's memory and thus Michelle's Place, a breast cancer resource center, was born. Michelle's story has resonated with many and Gillian is no exception. Because of her experiences on Survivor, Gillian decided to create Reality Rally, a "fun for funds" fundraising event that would allow reality stars like herself to harness their newfound fame for a good cause. 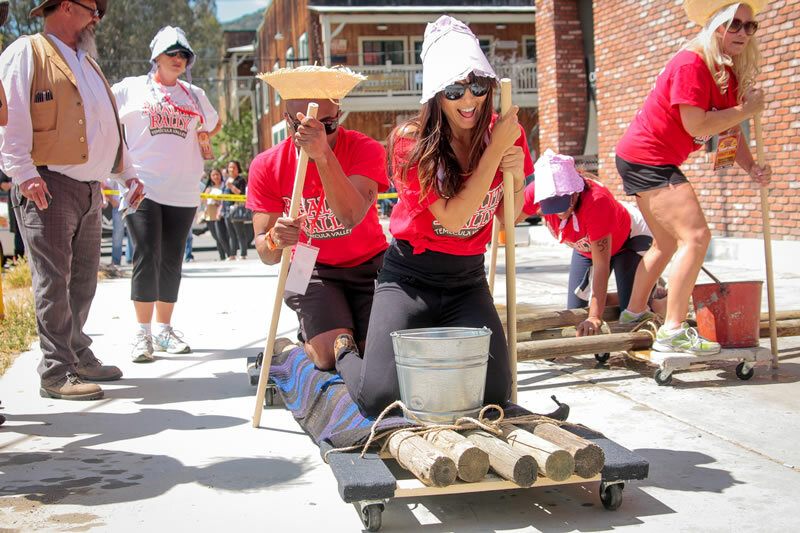 Each year, reality stars gather in Temecula, California, to compete "Amazing Race style" and raise money for Michelle's Place. Gillian admits to her astonishment at how successful Reality Rally has been and at the staggering growth the event has experienced over its three years. That being said, Gillian seems to have realized that she can make anything happen. She was able to see through her failure and transform it into an opportunity that was so much bigger than her original pursuit. She sums up her methodology in a few, simple words. "Dream it. Believe it. Prepare for it. Do it." For more from Clarissa, follow her on Twitter @asurmedia and like her on Facebook at Clarissa Burt Official.